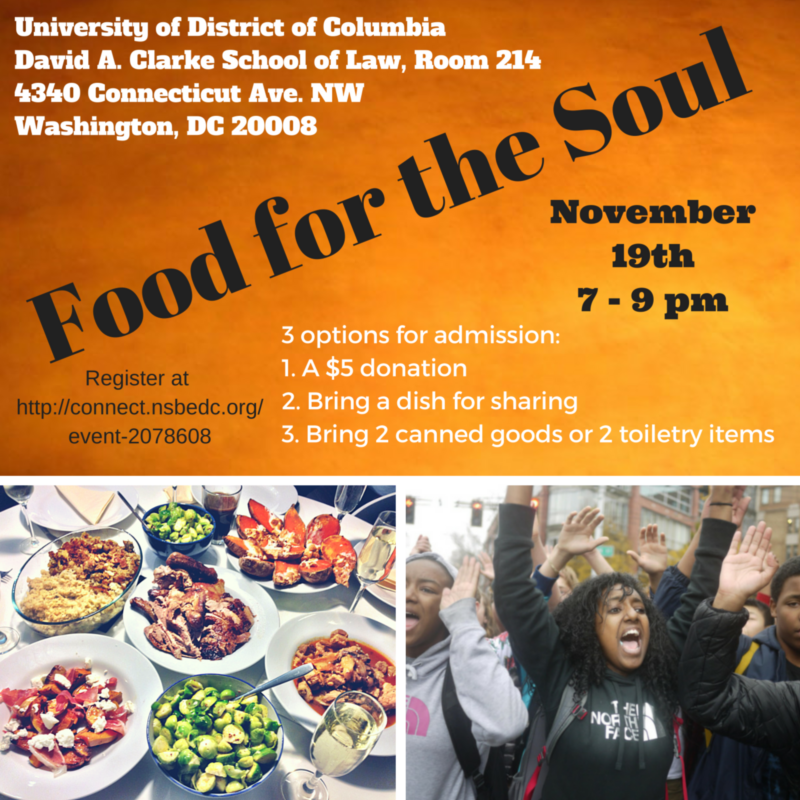 NSBE DC and the UDC NSBE Chapter invites you to our first annual collegiate potluck dinner. Hosted by NSBE DC members Jayrick Hayes and former College Initiative Chair Allison Watkins, this event will be a forum to discuss cultural and societal issues that affect us not just as engineers, but as people. Questions on these types of issues will be posed to both collegiate students and professionals in the audience. Once feedback is given, we work to find a solution to these issues. The event will also have a small competition for the best dish! Think you can throw down? Make your favorite dish! Vegetarian. Vegan. Gluten Free. Doesn't matter! The STUDENT and PROFESSIONAL with the best dish will win a SPECIAL PRIZE! For more information, contact College Initiative Chair, Jamie Jackson, at collegeinitiative@nsbedc.org.